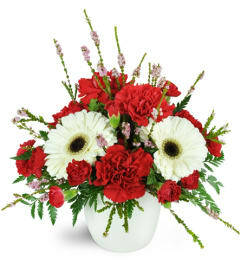 This year, send a whole armful of cheer with our overflowing basket of Christmas-hued blooms! Cheery red Gerbera daisies and elegant red roses make a huge splash in a reusable handled basket, perfect for the hearth or anywhere in the home! 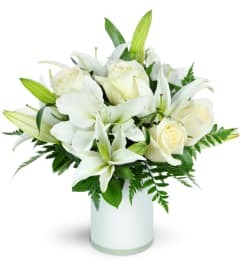 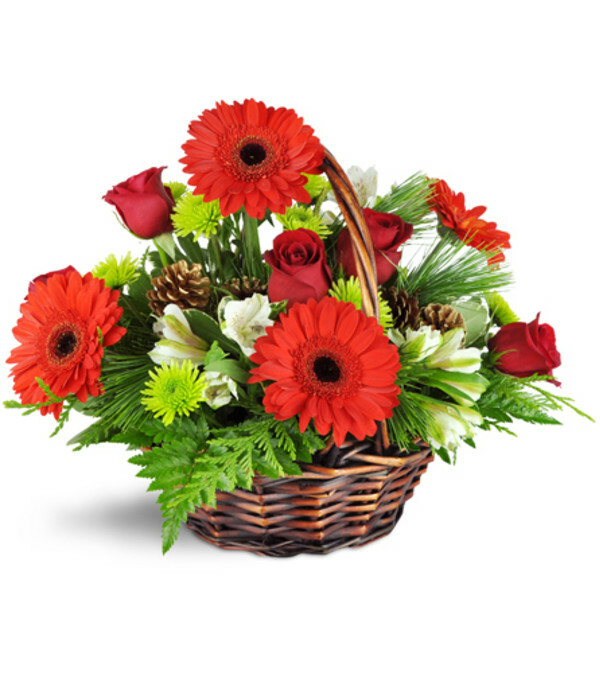 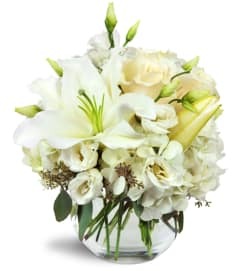 Red Gerbera daisies, red roses, white alstroemeria, green poms, and pinecones - plus fragrant Christmas greens - are arranged in a lovely handled basket.